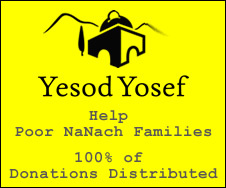 Na Nach Nachma Nachman Meuman: entrance fee to Rabbi Nachman $100,- a day! entrance fee to Rabbi Nachman $100,- a day! press here to see how they are intending to skin you even closer next year and even sooner than that. When there is sun, and no clouds (of glory) there is desert and no trees (exile) it is usually because of hate. As long as there is hate what is there that is of value. In the end all you can do as a man is serve Gd! Hope you can enjoy Kohelet better now. When you say Na Nach, everything is new at once! Since we are all holy holy holy Tzaddikim, the only thing that can defeat us is sadness and strife.. which is the tool from Babylon in the hands of Satan (sadist). Promises broken bring evil beasts to the world which are worse than Canaanites (who offer child sacrifices). The promise broken is when we do not bring the son of Rachel to the land of his mother. The promise broken is when we refuse to give the warwolf of Rome the cure that can make him happy instead of a miserable breaker of the first command of Gd to man... not to eat flesh from a living animal. No more sale of holy land and no more enslavement of the masses. No we didn't bring Josef out, only Moses, Joshua and Serach did that... not us. check this out you learned it wrong (like many other things). The 70 nations that came for President Peres, they will bring the remains to Jerusalem and fulfill the promise, or they will all be sent into exile themselves like the brothers were. Please Gd, hear my prayer and allow the best people to have access to my message and understand the new film I will be producing with the help of Gd!